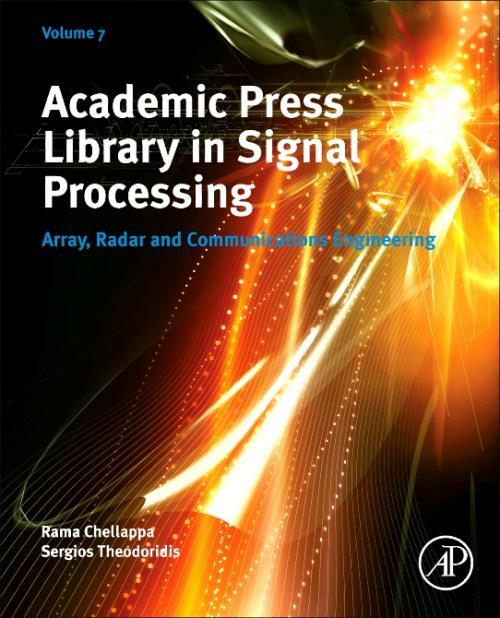 Academic Press Library in Signal Processing, Volume 7: Array, Radar and Communications Engineering is aimed at university researchers, post graduate students and R&D engineers in the industry, providing a tutorial-based, comprehensive review of key topics and technologies of research in Array and Radar Processing, Communications Engineering and Machine Learning. Users will find the book to be an invaluable starting point to their research and initiatives. With this reference, readers will quickly grasp an unfamiliar area of research, understand the underlying principles of a topic, learn how a topic relates to other areas, and learn of research issues yet to be resolved. Prof. Rama Chellappa received the B.E. (Hons.) degree from the University of Madras, India, in 1975 and the M.E. (Distinction) degree from Indian Institute of Science, Bangalore, in 1977. He received M.S.E.E. and Ph.D. Degrees in Electrical Engineering from Purdue University, West Lafayette, IN, in 1978 and 1981 respectively. Since 1991, he has been a Professor of Electrical Engineering and an affiliate Professor of Computer Science at University of Maryland, College Park. He is also affiliated with the Center for Automation Research (Director) and the Institute for Advanced Computer Studies (Permanent Member). In 2005, he was named a Minta Martin Professor of Engineering. Prior to joining the University of Maryland, he was an Assistant (1981-1986) and Associate Professor (1986-1991) and Director of the Signal and Image Processing Institute (1988-1990) at University of Southern California, Los Angeles. Over the last 29 years, he has published numerous book chapters, peer-reviewed journal and conference papers. He has co-authored and edited books on MRFs, face and gait recognition and collected works on image processing and analysis. His current research interests are face and gait analysis, markerless motion capture, 3D modeling from video, image and video-based recognition and exploitation and hyper spectral processing.